Here, we look at five reasons why no one is reading your business blog. The first priority is to ensure that you are covering subjects that your client base wants to hear about and that your business blog is targeted at the right people. For example, there is no point in a financial adviser writing about how £1,000 of savings interest will be tax-free from April 2016 if all their clients, or prospective clients, are higher-tax rate payers (and will therefore only have a tax-free allowance of £500 for savings interest). Google Analytics will help you to discover which search terms are being used to find your site while any interaction with your clients – whether it is by email, phone or social media – will give you insight into the topics that they want to hear about. 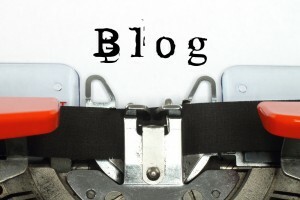 Writing the greatest business blog in the world is pointless if no one knows it is there. Therefore you need to be using every method available to you to get it read. Social media is a great way of letting the world know about your business blog – although, again, you need to research which platforms your prospective readers use. There is no point in sharing posts on Facebook if more of your clients are connected to you via LinkedIn. Another way to promote your business blog is to write guest blogs or articles for the trade press or other organisations related to the financial services industry, which then link back to your site. If a reader is faced with reams of text, then they are likely to click off your blog before they have even read the first sentence. Breaking text up with bullet points, sub-headings, diagrams and graphics makes it more digestible and also enables readers to scan through to check that it is content worth reading. Paragraphs should just be one or two sentences long. Just because you use certain industry terms and acronyms on a daily basis does not mean that your clients have the same familiarity with the language that you use. Even if you are writing a business blog targeted at fellow professionals, it is a good rule to assume that there could be someone reading the blog who is on their first day on the job or a student. Readers will be more impressed, and will share your article, if you can explain a highly technical financial services issue in everyday language. It’s also good practice to spell out in full even the most common financial services acronym the first time that you use it, you can then put the acronym in brackets afterwards. For example, you might write ‘individual savings account (ISA)’ in the first instance in your blog, then simply refer to it as an ISA after that. There is no set answer to the question of what is the ‘perfect’ length for a blog. One of the most read marketing bloggers, Seth Godin, often writes blogs that are less than 80 words long. According to keyword research tool serpIQ, however, the most shared blogs are those that number 2,500 words. The best approach is to write to the exact word length that the subject requires and no more or less. Don’t use any unnecessary words or repeat information but don’t cut out any intrinsic information purely to get the word count down. And if you think you’re going to send the reader to sleep, break one long blog down into a series of blogs. Formatting and subject matter is more important than word length. If you would like to know how Love Letters can help you with a blog-writing campaign, then click here. If you would like to receive regular content marketing hints and tips for the financial services industry then you can sign up to our newsletter here.